We arrived at the square and started building up the darkroom tent and someone who we knew came up as she knew we were planning this and she wanted to see it. I made test plate, decided I had to double the exposure and went for a “real” version on 18×24 black glass. While working people gathered around the tent as they got curious (who wouldn’t) and by the time the successful plate was made I had people from “Handhaving” which means something like never-got-around-to-be-a-real-Cop-kind-of-people and they asked me if I had a license to do this. I go like what? A licence to make photos? 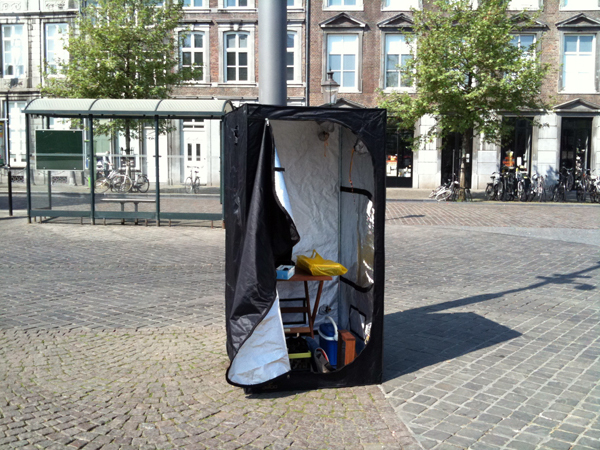 But since I was using “public space” (mind the word public) I needed a license to put up a tent on the square. 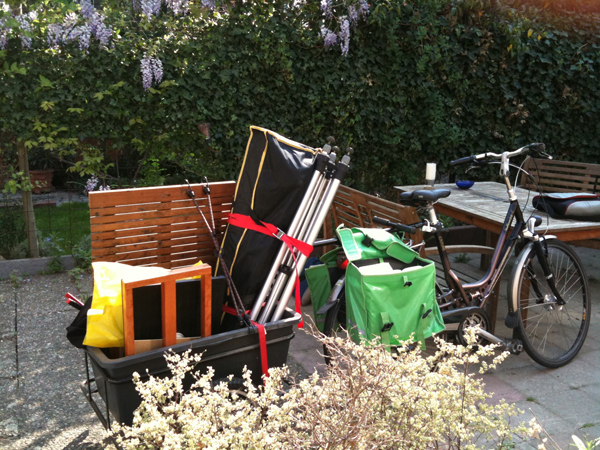 Bart asked their names and we complied to packing up our stuff and leave (damnnn). Luckily I had already made one good shot so I wasn’t all that upset but for a 2-hour preparation I had hoped for a little more. Unfortunately these guys were very hard set and unfriendly on top of that so we figured it’d be better not to be too stubborn as I have to be there more than once. So we started packing. They left and 5 minutes later their boss came around to check. He was much nicer and if we’d met him first good chance we could’ve continued working. Oh well…He advised us to contact the municipality to get a license for doing what I wanted. So I did today, unfortunately the person we needed wasn’t around. To be continued…. This entry was posted on April 26, 2011 by Contrastique. 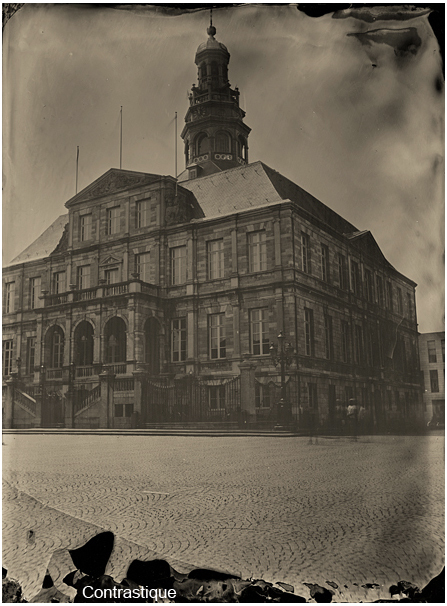 It was filed under Wet Plate Collodion-Photos and was tagged with Alexander Simays, maastricht, wet plate collodion. Beautiful ! 🙂 Good luck! Can you tell me what size darkroom you use for traveling? I am thinking of buying one. I am using a tent of 1x1x2 meters. Works perfectly fine for me. The bag with tent weighs 12 kilos so that’s transportable. That is really sad and depressing. I lived in London a few years before moving to Lisbon and they have become hysterical about any kind of photography. It is sad to see this happens also in Holland. I always found the Dutch to be very laid back. I guess it is the same anywhere. You give someone a little bit of power and they just have to start exercising it. I hope they give you a licence!